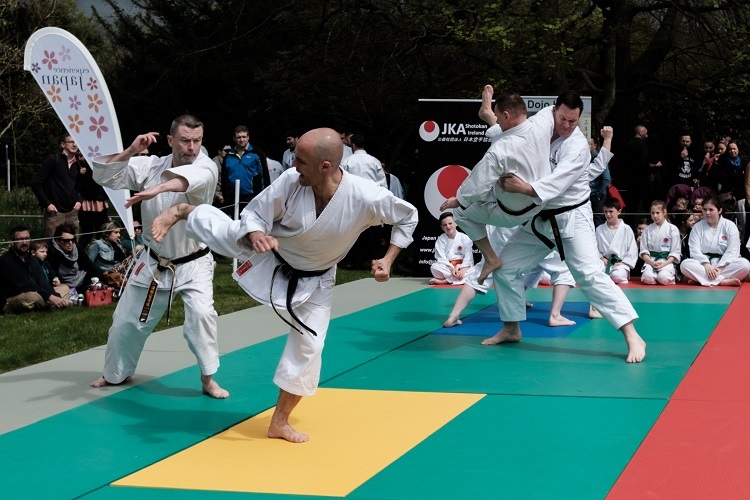 JKA Shotokan Ireland is a Karate Club Organisation directly affiliated to the Japan Karate Association Headquarters in Tokyo Japan. 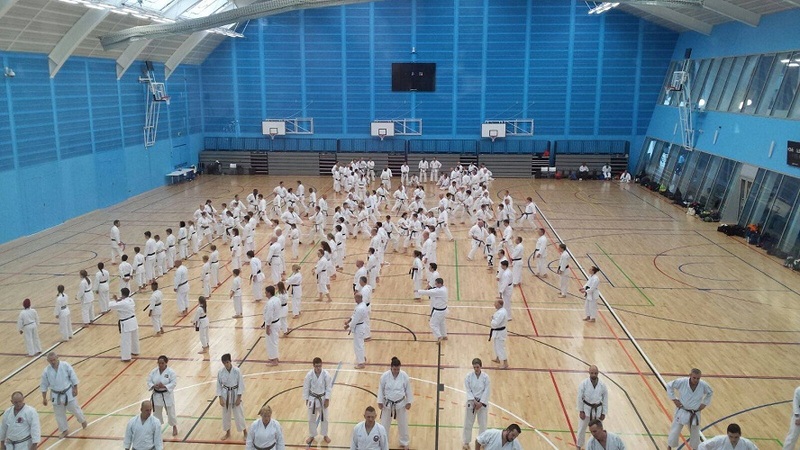 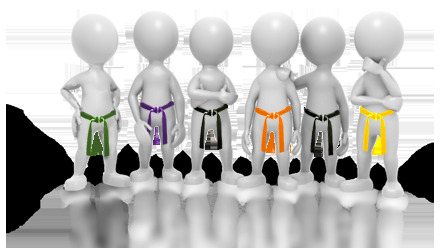 We practice traditional Shotokan karate, one of the most recognised karate styles in the world. 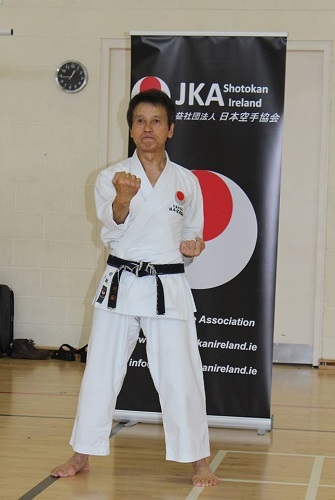 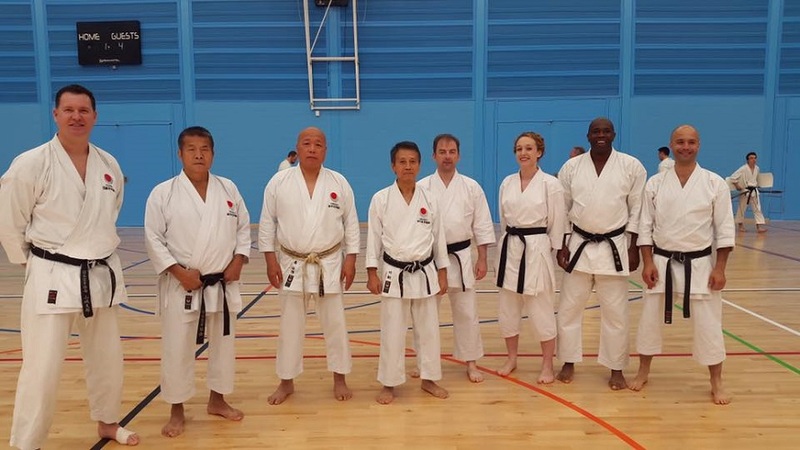 Our Technical Director is Sensei Masao Kawasoe, 7th Dan who together with our senior Irish JKA instructors has overseen the technical development of our association for over 20 years. 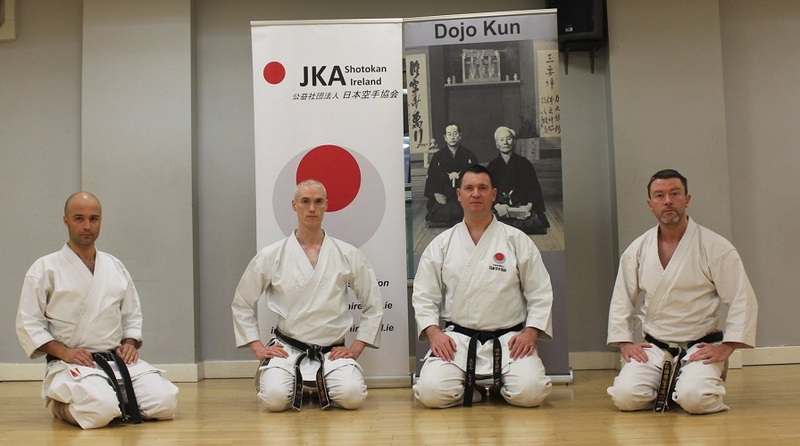 JKA Shotokan Ireland is also a member of Kawasoe Sensei’s JKA Afro Eurasia group within the JKA. 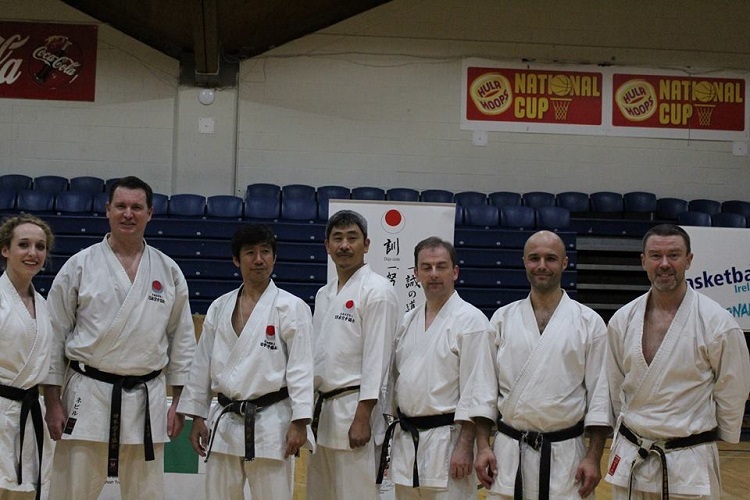 Our honbu dojo is located in Dublin city centre but all our clubs can be located across the country. 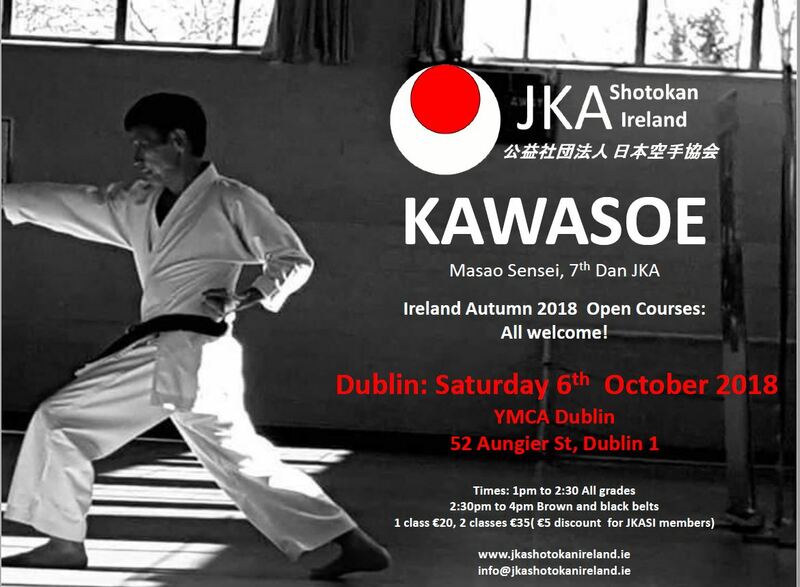 Kawasoe Sensei is back in Dublin October 2018 ! 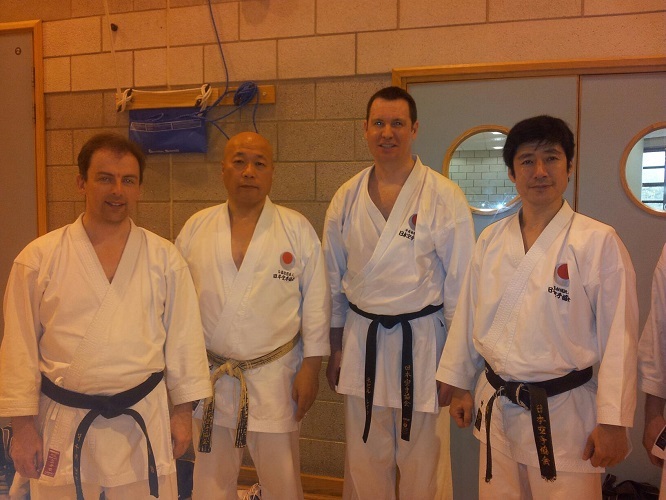 Beginner are always welcome, see our Beginners page for more details.